It's a very bad weekend for sysadmins worldwide, particularly those in charge of companies affected by the latest wave of ransomware attack using a known Windows vulnerability. 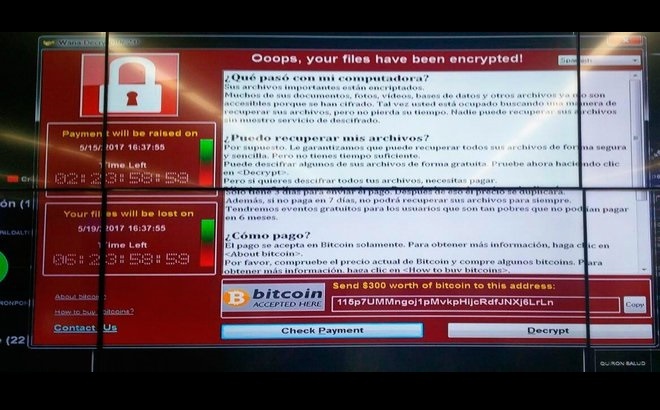 Ransomware attacks are nothing new, but this one is spreading like wildfire in several big companies around the world, like big telecom companies in Spain and Portugal (Telefonica and Portugal Telecom), hospitals in the UK, banks in Russia, train services in Germany, and more. The funny thing is that this ransomware is spreading on internal networks via a SMB vulnerability on Windows computers that was already patched by Microsoft. So, this shows that there are countless big companies that don't keep their computers updated. Though most of them should have backups (and private users should have them as well), you might want to consider using RansomFree to detect and stop such threats. Just keep in mind that, most of the time, this sort of attack depends on someone happily clicking away on links or buttons that pop up on their screen, or open suspicious attachments, or something similar. The easiest way to prevent these issues is simply not to do so!